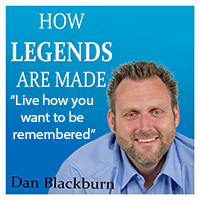 Today’s episode, Live how you want to be remembered. Life brings you choices. How you choose, controls your outcomes. Choose wisely. Today’s podcast introduces you to a woman, (who you may have never met) who lived a legendary life, by choosing to enrich the lives of others.